The reach of cinema advertising will be measured from next year with the release of a new cinema ratings service from Val Morgan. The cinema advertising network announced yesterday that it would launch its ‘CineTAM’ rating system to measure advertising on the big screen in Australia for the first time. Chief executive at Val Morgan, Damian Keogh, says the system will see the buying of cinema ads move from a screen to an eyeball basis. “CineTAM will be the most robust measurement system of any medium in the country,” Keogh says. 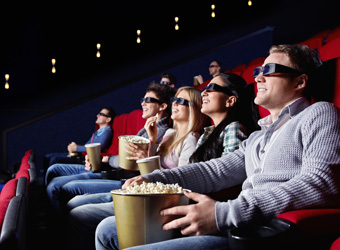 The system will run on movie attendance data from 300,000 cinema loyalty club members from major and independent cinemas to fuel an audience based cinema buying model that will enable advertisers to maximise reach among certain demographics. At its upfront presentation on Wednesday morning, Val Morgan also announced an expansion of its outdoor inventory, which includes over 3000 digital screens in more than 600 national retail locations. Val Morgan’s national cinema circuit is around 80% digital, with complete conversion from 35mm film expected by the middle of next year, helping to reduce production costs and lead times from three weeks to less than a week. CineTAM is currently in testing phase and will be released to market in the first half of 2013. With Skyfall and Twilight Breaking Dawn Part 2 currently in cinemas, the Australian box office is set to break the $1 billion barrier for the fourth consecutive year.